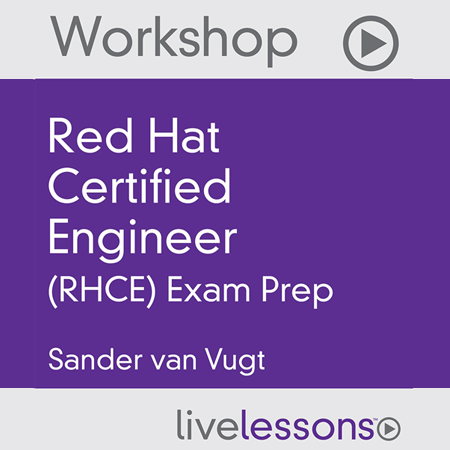 Key concepts to avoid traps and pitfalls on the Red Hat Certified Engineer (RHCE) exam. Helpful tips for taking the exam. You want to get RHCE certified. You are a Linux engineer who is interested in learning more about Red Hat Enterprise Linux. You are a junior system administrator who wants to deepen your skills. You are an administrator with a profound knowledge and experience working with other Linux distributions, like SUSE Linux Enterprise Server. You are an administrator currently administering UNIX systems. You are a developer who writes software for Linux. You have passed the Red Hat Certified System Administrator Exam and you have experience with working in a Linux environment. Or after you have completed the RHCE Complete Video Course and you want to do final preparations before taking the RHCE Exam. This course is part of LiveLessons Video Training series on InformIT.com. Your purchase and delivery of the course is processed and available via Pearson InformIT. This video training course is part of the RHCE Learning Path.